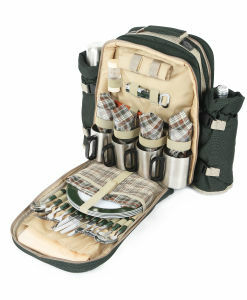 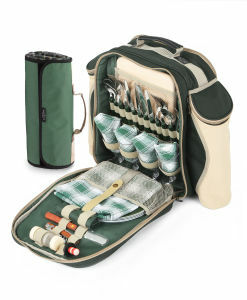 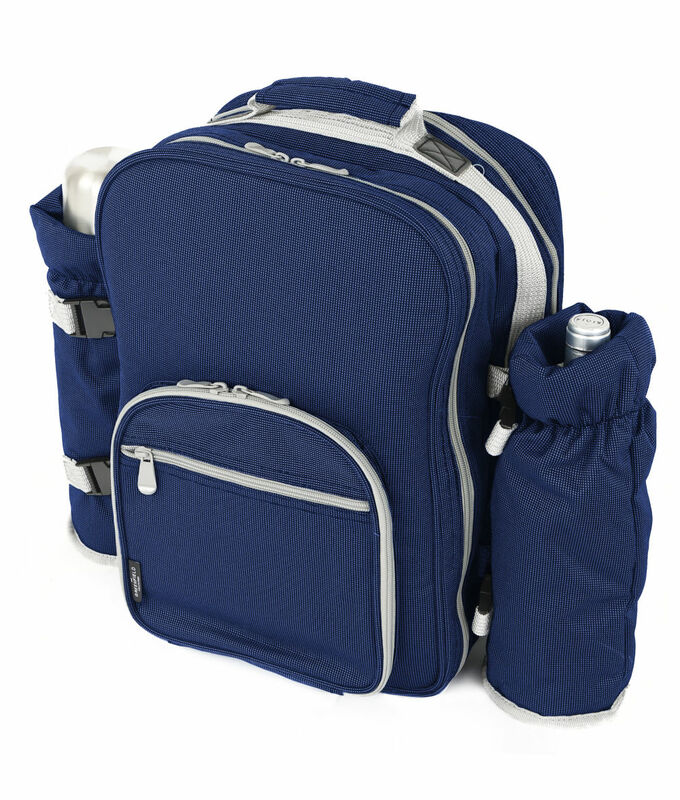 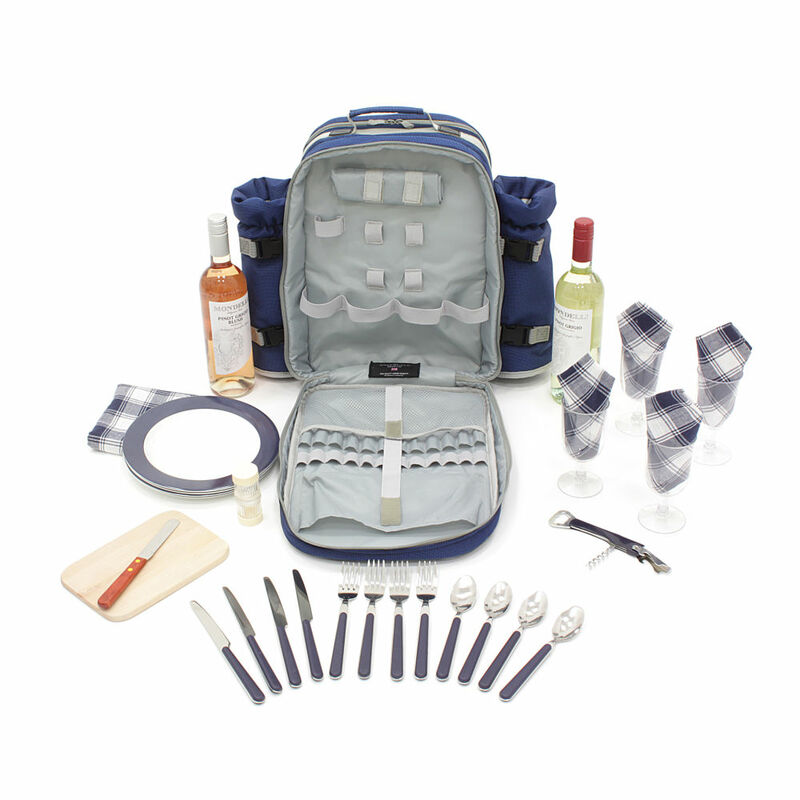 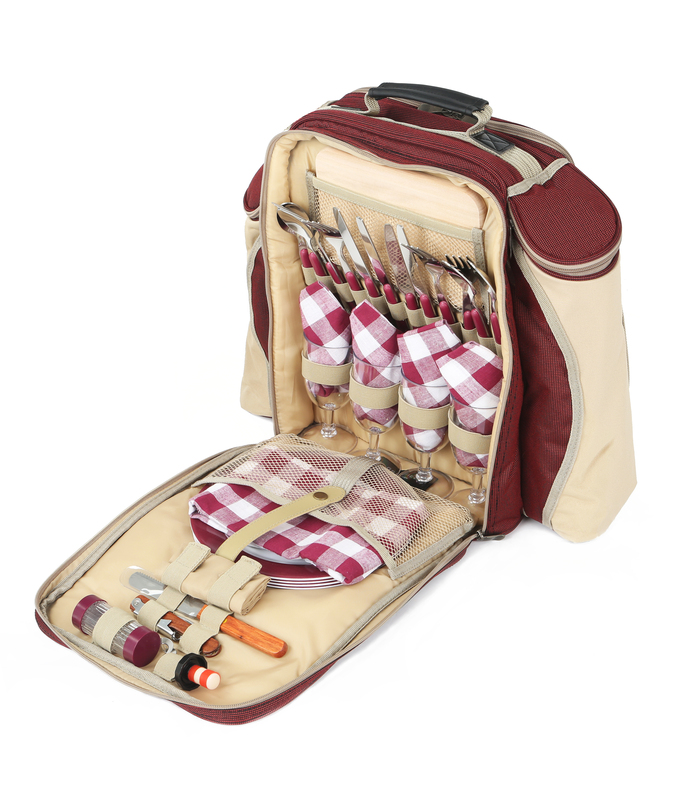 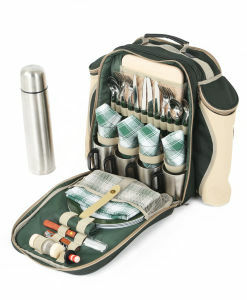 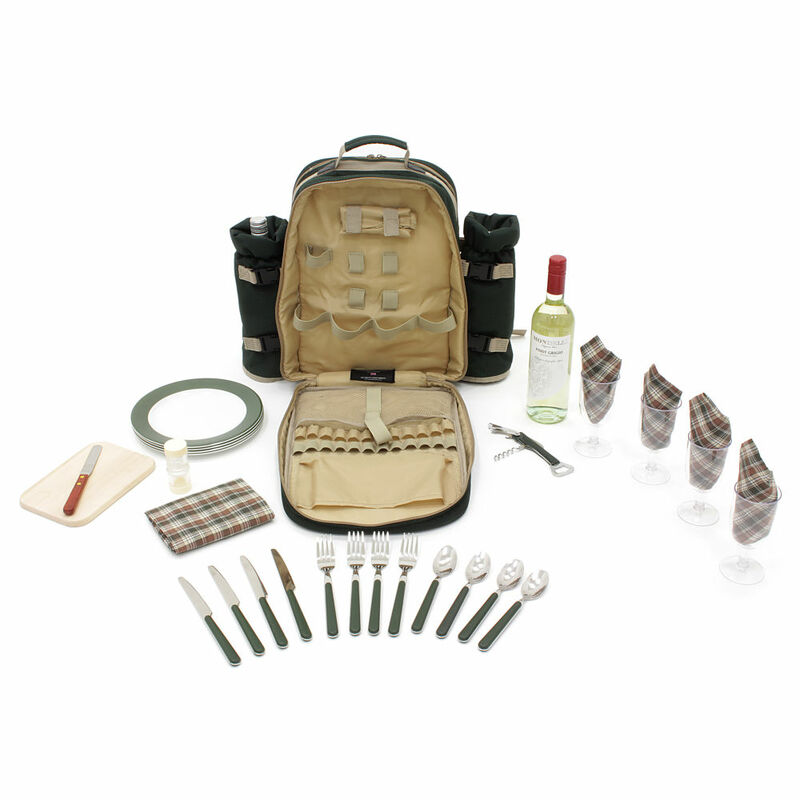 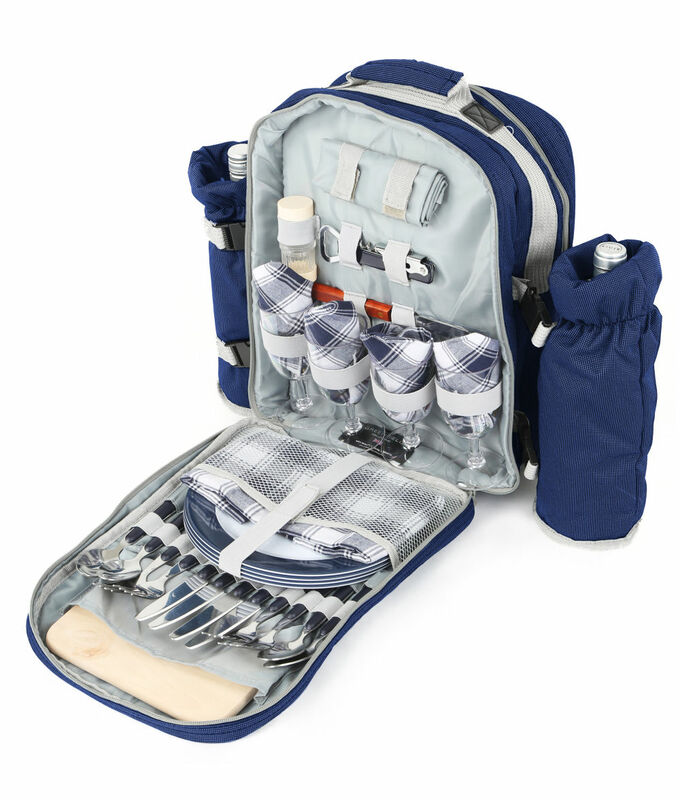 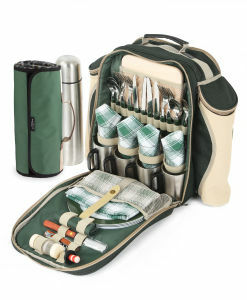 This luxury picnic backpack hamper has many essential accessories for a lovely picnic for up to four people. 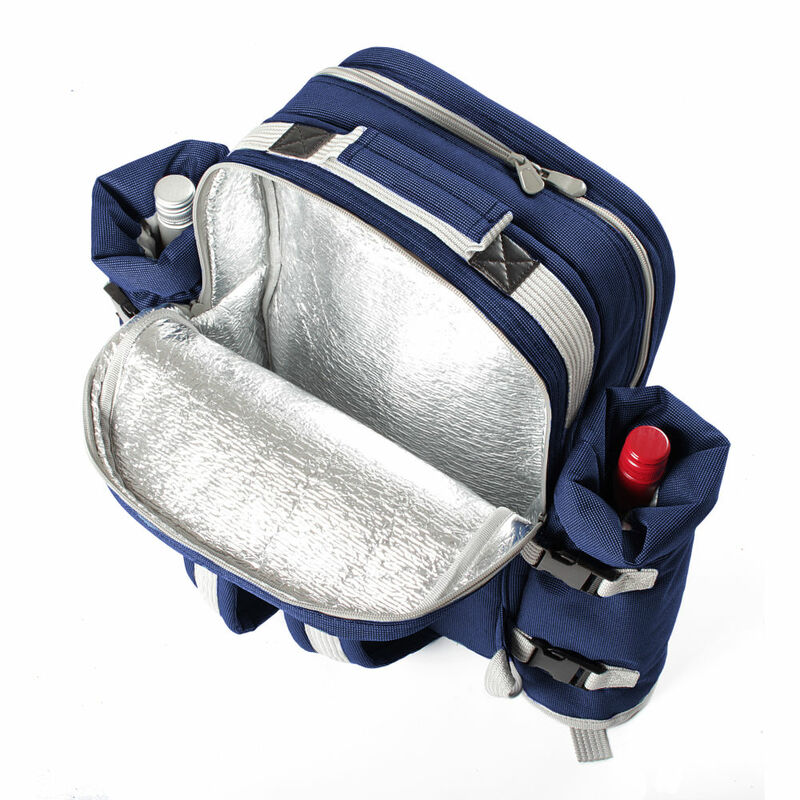 The rear compartment and detachable bottle holders are insulated using our patented IceTech+ technology. 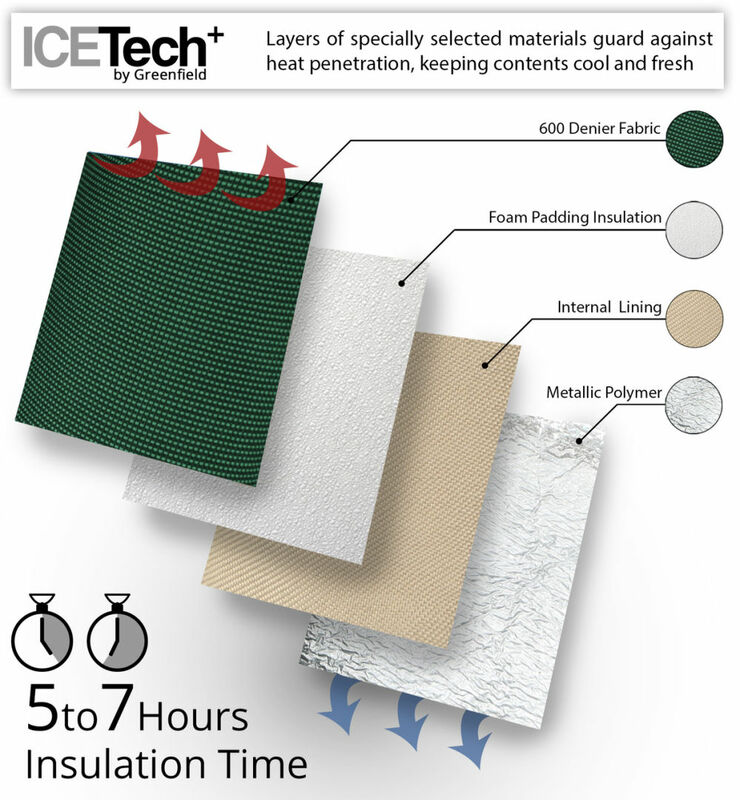 IceTech+ uses four layers of premium materials to guard against heat penetration, ensuring the contents can be kept cool or warm for 5-7 hours. 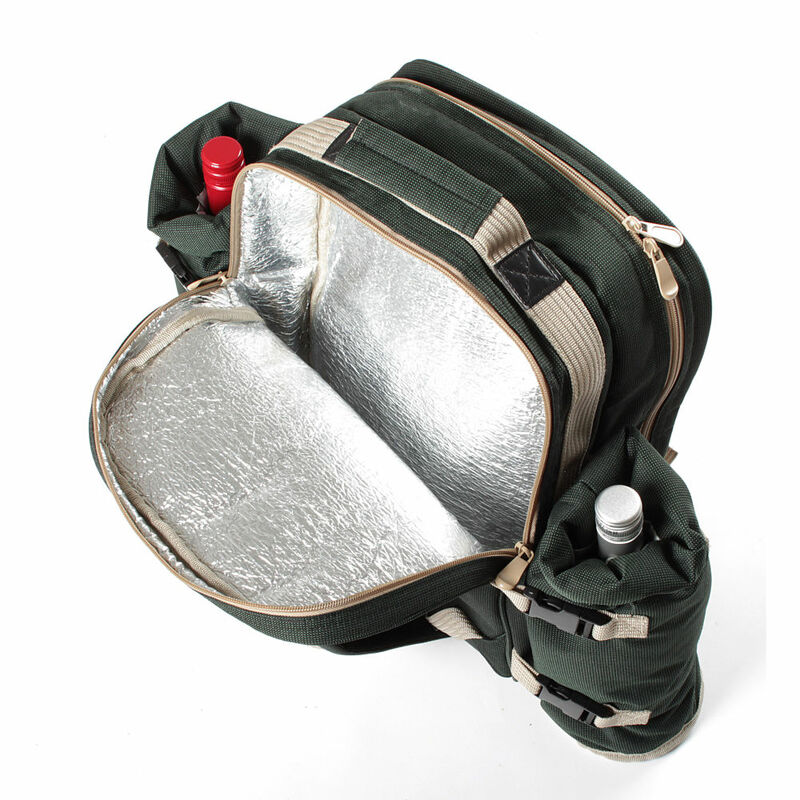 Cooling time can be increased if ice packs are used in conjunction with the backpack. 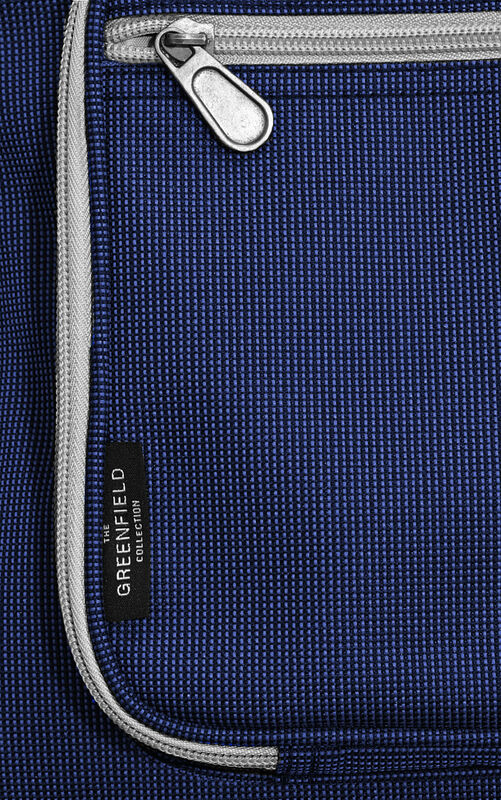 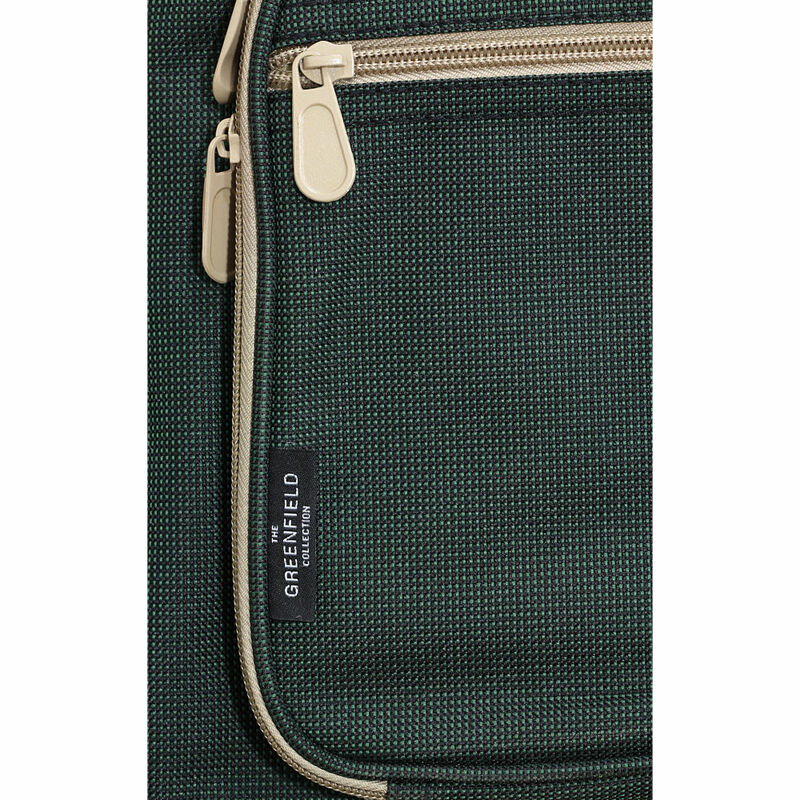 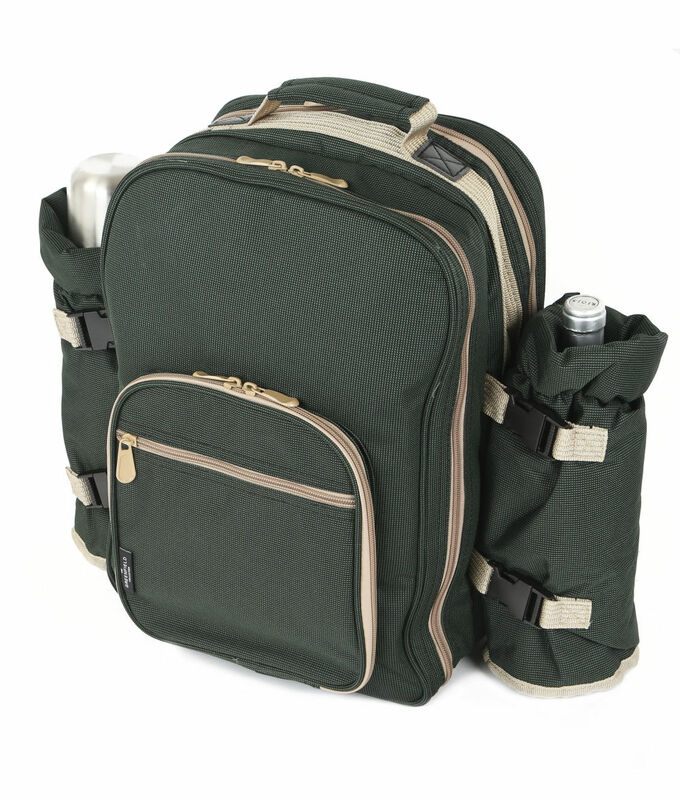 There is a pocket on the front of the backpack which is ideal for holding smaller items such as keys and a mobile phone. 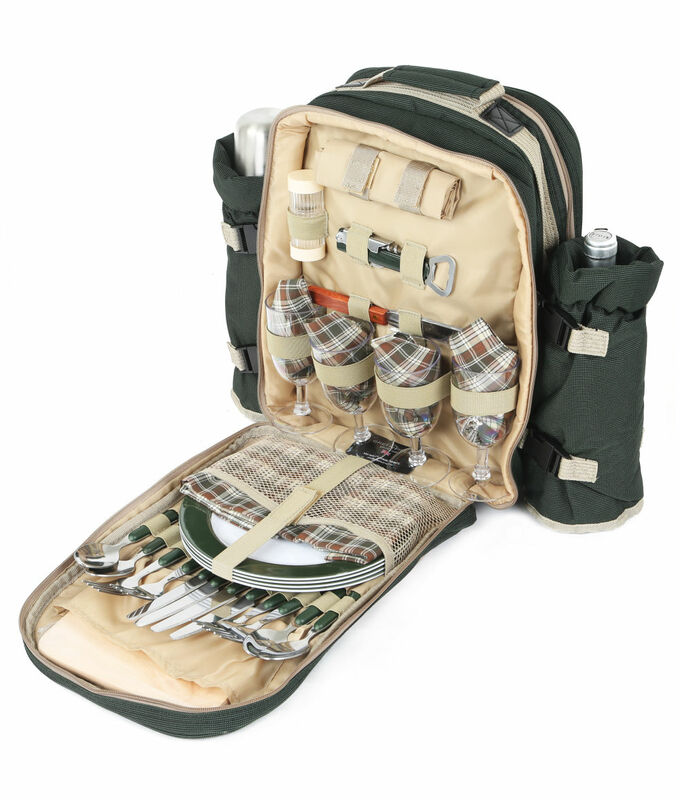 This fitted picnic backpack is the perfect accompaniment for an idyllic day spent with family and friends enjoying the great outdoors. 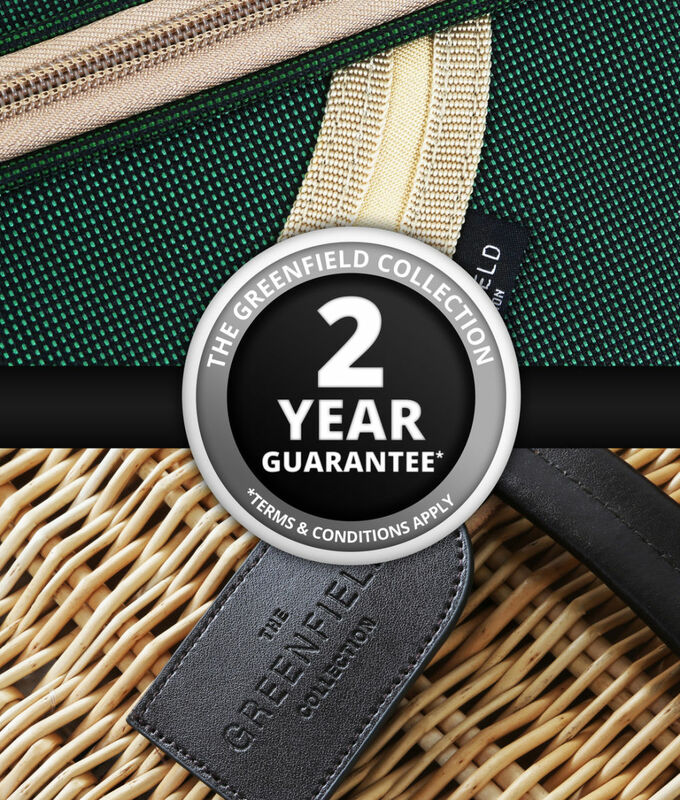 This product is supported with a two year manufacturer's guarantee for your peace of mind.